If you are from the Midlands (probably West Midlands), were into comics in the 80s, then that image above may resonate. It is a bag, yes. 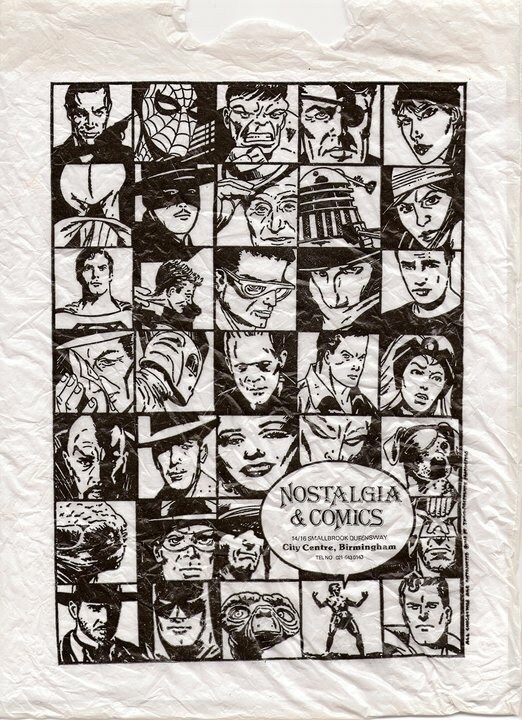 But it is a bag from the brilliant Birmingham comic shop ‘Nostalgia & Comics’. That thing used to hold my American reprints of Judge Dredd (from Eagle Comics). Those bags would hold my issues of Thor during Walt Simonsons run, Uncanny X-Men during Chris Claremonts tenure, and Fantastic Four when John Byrne was in charge.